Features: The Lacoste L.12.12 polo shirt was made from an entirely new fabric, "petit piqué". René Lacoste teamed up with loose-knit fabric expert André Gillier to fine-tune the design of his first polo shirts. Together, they created the famous piqué cotton - lightweight yet sturdy and breathable to let the body breathe while looking smart. Being a perfectionist, René Lacoste tested the first series of polo shirts himself, in search of any detail that could improve the design. The code name assigned was "L.12.12": L stands for Lacoste, 1 because it's totally unique, 2 was the factory code to say short sleeved, 12 for the winning prototype chosen. 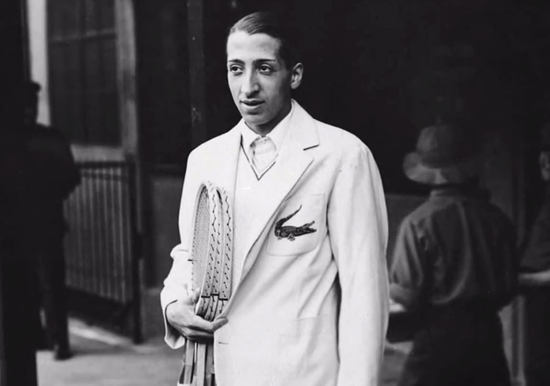 Interesting facts: René Lacoste was a famous tennis player who achieved fame in two areas: tennis and fashion. Lacoste founded La Chemise Lacoste in 1933 with André Gillier, the owner and President of the largest French knitwear manufacturing firm at the time. 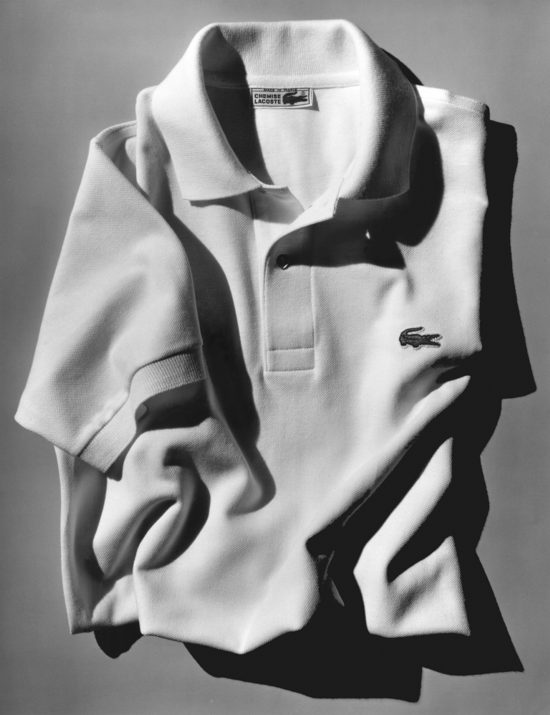 In that year, they launch the revolutionary Lacoste L.12.12 polo shirt, and branded with the iconic crocodile. 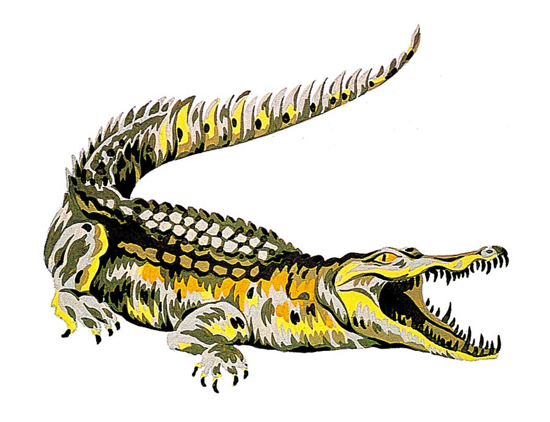 The true story of the "Crocodile" begins in 1923 after a bet that René Lacoste had with the Captain of the French Davis Cup Team, Allan H. Muhr, who promised him an alligator suitcase if he won an important game for the team. This episode was reported in an article in the Boston Evening Transcript, where his nickname of the «Crocodile» came to life for the first time. The American public grew fond of this nickname which highlighted the tenacity he displayed on the tennis courts, never giving up his prey. His friend Robert George drew him a crocodile which was embroidered on the blazer he wore on the courts. 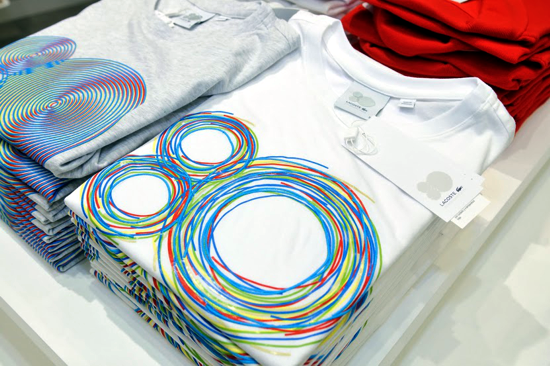 In 1951 the company began to expand as it branched from "tennis white" and introduced color shirts. The first Lacoste boutique opened in 1981, avenue Victor Hugo, Paris. 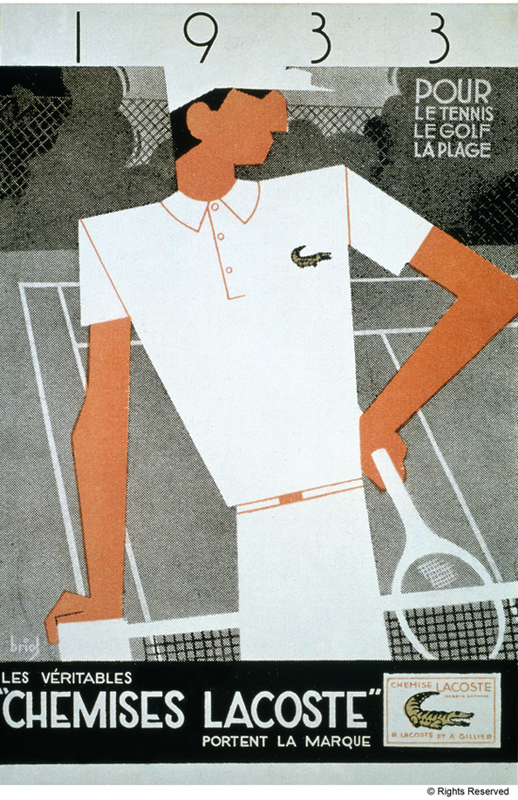 Slogan (1933): «Attention au crocodile... il n'y a qu'une CHEMISE LACOSTE» - "Beware of crocodile ... there is only LACOSTE SHIRT"
Lacoste advertising (1933): "Pour le tennis le golf la plage les véritables CHEMISES LACOSTE" (For tennis golf beach the real LACOSTE SHIRTS). 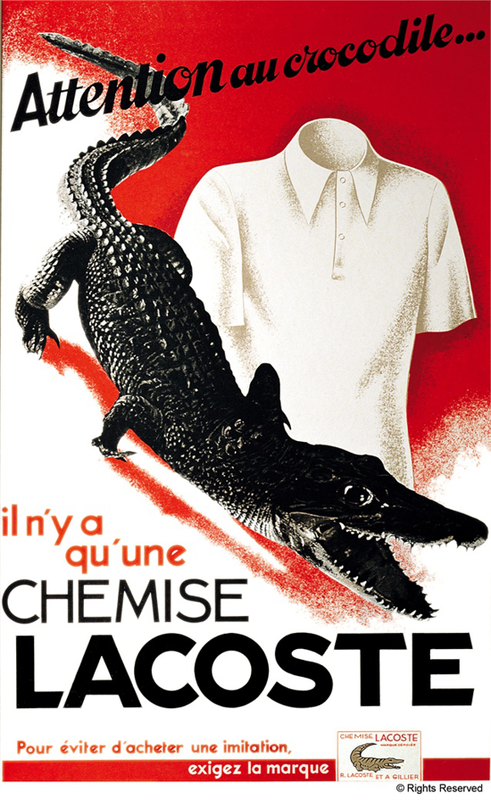 Lacoste advertising (1933): "Attention au crocodile... il n'y a qu'une CHEMISE LACOSTE" (Beware of crocodile ... there is only LACOSTE SHIRT).